June 21st - Kitsch it to death. 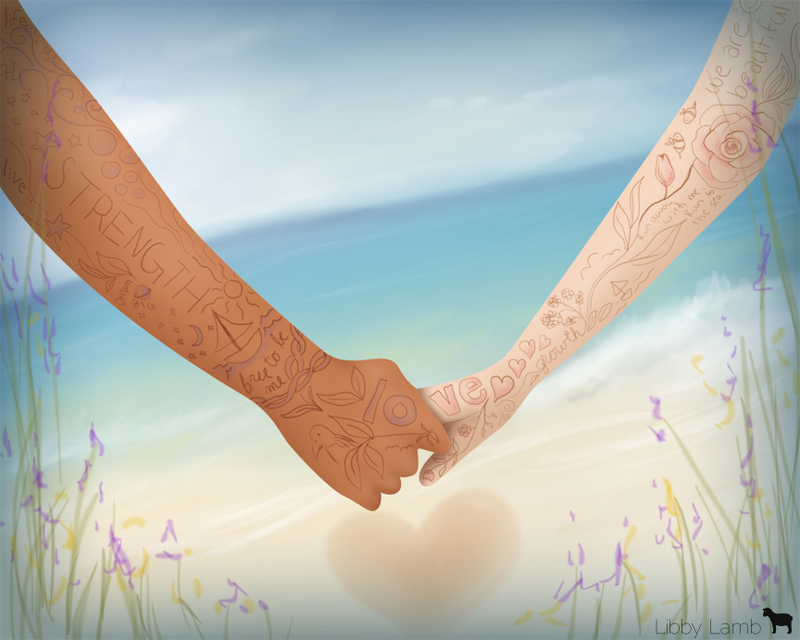 Draw something super kitschy, and what's more kitschy than a couple holding hands + the beach + hearts + trite writing? Dolphins and unicorns perhaps?